What is your rate of significant incidental findings and what is the percent breakdown of the most common findings (i.e. kidney lesions, liver lesion, coronary calcifications, interstitial lung disease, etc.)? What is your program rate of PET/CT? Bronchoscopy (with or without TBNA)? Percutaneous biopsy? Surgery? What is the expected false positive rate and cancer detection rate of CT lung screening at baseline? Breakdown by reading radiologist. NOTE: Only radiologists reading 100+ screening exams are included in analysis. How common are LungRADS 0 results? What do you do about them? BJM/SR: In our program LR0 exams are exceedingly rare and typically result from incomplete scan range or significant respiratory motion. In the past 5,000 exams we have had one LR0 result (0.02%). When this occurs, we finalize the report as a LR0 and recall the patient to have the exam repeated at no extra charge and issue a second finalized report after the patient returns. What is the cancer detection rate of LungRADS 3 and 4 patients in your program? How many invasive procedures end up being for benign disease in your program? 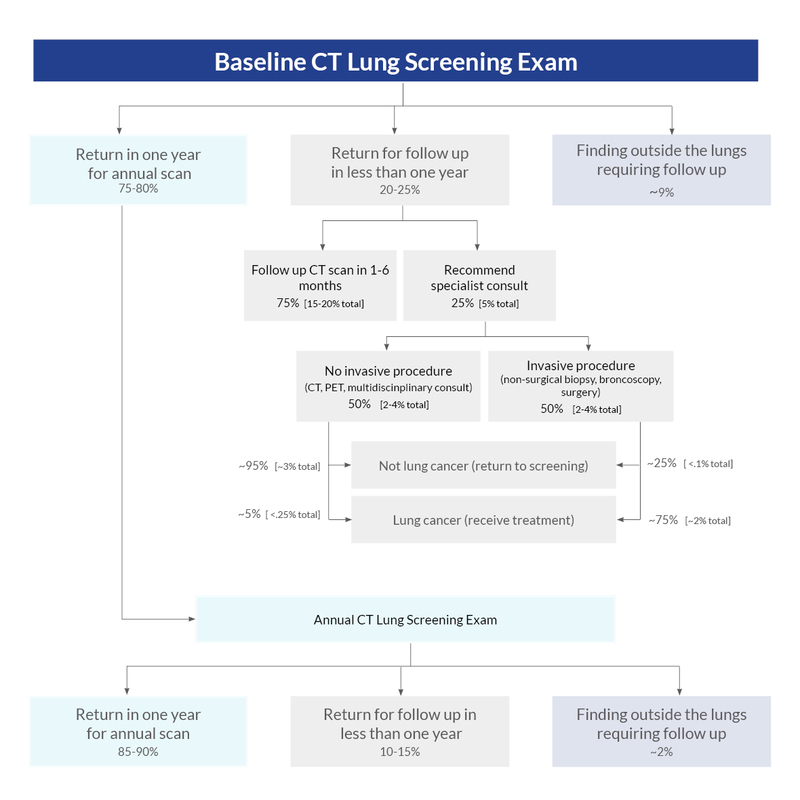 What is the average time to diagnosis and treatment of cancer from baseline screening in your CT Lung screening program? BJM/SR: This is best assessed from time of positive or suspicious finding to cancer diagnosis. What is the average time to cancer diagnosis and treatment after discovery of a suspicious finding (LungRADS 4) in your program? BJM/SR: Overall average time in our program at Lahey from LR4 reading to diagnosis is 75 days; overall average time among those with LR4B readings is 27 days. 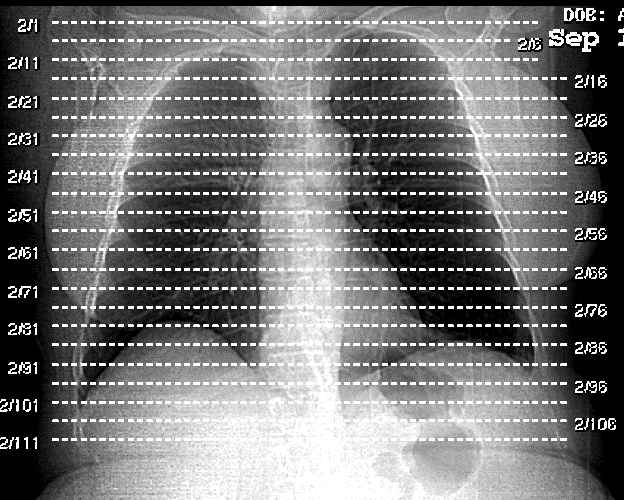 What is your rate of abnormal findings when using Lung-RADS? EH: LR3 and LR4 combined are running around 12-15% combined. I think it is important to note that the prevalence of nodules and their sizes is going to vary by geography. There is no “right” or single or simple answer here. It might make sense to aggregate geographic areas once this data is better known. The following may be measures a program could use to assess detection rates, false positive rates, and diagnostic and therapeutic rates. These are not required elements for reporting or insurance reimbursement for a LCS program; however, programs may find these useful for internal tracking and quality control.